The NSLSI administration had gained exposure to the Wang700 for survey calculations. They hired Ray Boyle and Roger Tomlinson to advise on the future direction of Cartography. The anticipated recommendation was automation and digital cartography. As well, it was recognized that for the NSLSI to maintain its reputation with the universities, it would be important to recruit instructors with traditional academic qualifications. By late 1970’s, the instructors began to realize the need for computer programmers in the scientific and engineering fields; in part this awareness stemmed from the increased use of the computer in surveying. A questionnaire, sent to a variety of scientific establishments throughout eastern Canada, indicated the high demand for individuals who could program computers and apply their skills to a wide range of scientific and engineering problems. In the summer of 1980, Dr. Bob Maher and Dr. David Woolnough simultaneously arrived in Lawrencetown. Bob was to design, develop and teach a new Scientific Computer Programming program and David was a new instructor in the Survey department. David became Survey Department Head, Principal and Director of Applied Research until his retirement in 2005. Bob became Department Head of Computer Programming. 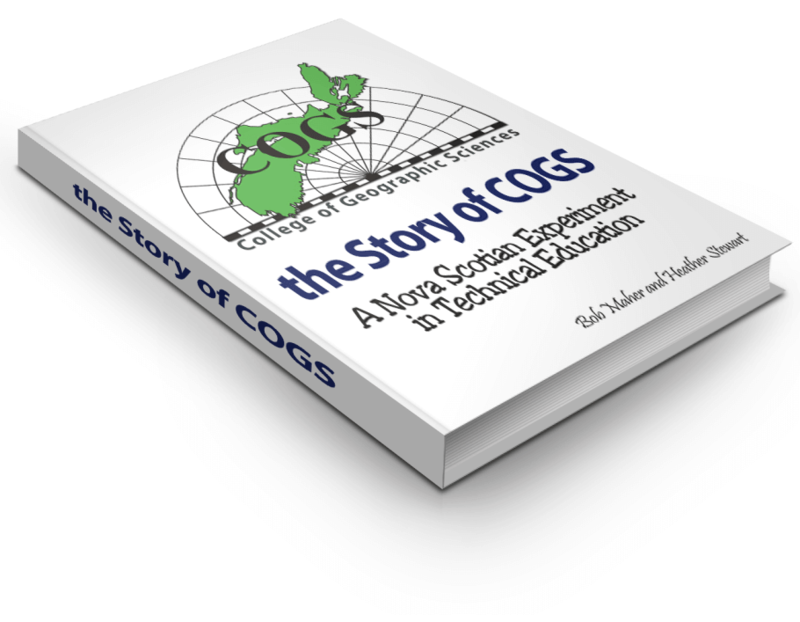 He left COGS in 1988, returning in 1999, to become Senior Research Scientist at the Applied Geomatics Research Group at the Annapolis Valley Campus, NSCC, in Middleton. To accommodate the new SCP program, NSLSI had to make decisions about computer hardware. There were new mini-computer systems available from DEC as well as PRIME Computers. PRIME was very keen to see their equipment installed in technical institutions and were thus very competitive. The SCP program was funded by the federal government and in addition to the funds for the equipment, there was funding under Canada Employment and Immigration Commission (CEIC) for students to attend the program. This proved extremely attractive for mature students who were seeking to reconnect with the larger Canadian society. Some of these students had moved to rural Nova Scotia as ‘back to the landers’ in the 1970s. Bob was responsible, at this point, for computer systems, program design, student management and was one of two instructors. He was responsible for mathematics and the scientific applications. Bruce Peveril was responsible for the technical programming and database courses. This was a fifty-week program, at the end of the first year, there was two weeks off and then a fresh group of students arrived to begin again. After a successful first year, NSLSI decided to offer a Business Computer Programming (BCP) program and recruited Alan Connors from the Department of Fisheries and Oceans (DFO) and David Dunphy to teach in Lawrencetown. Students in the program were assisted by Kate Bate and Pat Castel, both graduates from the first year of the SCP program. After one year, the BCP program moved to NSIT in Halifax because it was perceived to be a better fit in metro. 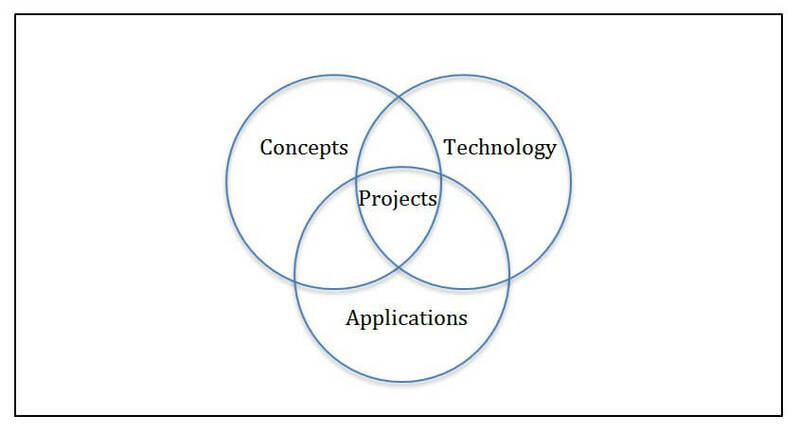 For many years, we used a Venn diagram to illustrate the components of the program. The Venn Diagram outlining the three components of the curriculum. Within the curriculum, it was important to integrate all three components (Concepts, Technology and Applications). To understand an application, it was necessary to appreciate the underlying concepts or problem definition. In SCP, this required a solid understanding of the concepts of mathematics (the language of science). This would then permit an individual to write programs, which used numerical methods to solve a specific problem. The technology component included knowledge of programming languages, operating systems, hardware, and database software. The application domains could be as wide as the interests of instructors or students. In Bob’s case, this would mean ‘geographic’ or ‘ecological’ applications. This led to the use of specialized software: Geographic Information Systems (GIS) and Image Analysis Systems (IAS). Students were required to learn these packages and apply them to real world problems. In addition, they were required to use their programming skills to customize or enhance the functionality of the software. At the intersection of the three circles was the co-operative project. In this case, an external client defined the problem. Each student brought his/her conceptual, technology and application expertise to the task. 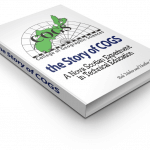 The documentation for a co-op project became a mini-thesis, including testing of the tools, coding and overall understanding of the problem. This model, initially developed for the SCP program, was later applied in other programs e.g. Business Computer Programming, Computer Graphics, Geographic Information Systems (GIS) and Remote Sensing. The structure of the program allowed each student to select a co-op project in the second semester. The third semester was dedicated to the project. There was no additional funding associated with these projects, except perhaps travel expenses. These co-op project reports (over six hundred) remain in the JB Hall library at COGS and are a remarkable contribution. For many of the graduates, the project was a ticket to a new career, often with the client. In 1963, NSLSI had offered three programs: Land Surveying, Photogrammetry and Cartography – Drafting. By the mid-70’s they added three more: Property Mapping, Survey Assistant and Community Planning. Before his employment at NSLSI, John Wightman had worked on air photo interpretation projects with Spartan Air Surveys in Northern Ontario and the Alaskan Highway. This started his long friendship with Dr. Roger Tomlinson, now celebrated by Esri and others, to be the “father of GIS”. In 1977, a Remote Sensing diploma was added. Remote Sensing was a special interest of John’s in the late 70’s. He had represented the province on the national Remote Sensing committee and with the establishment of the Diploma in Remote Sensing, he was able to persuade the province to place the Nova Scotia Remote Sensing Centre in Lawrencetown. The introduction of computing technology in 1980 resulted in an explosion of programs: Scientific Programming, Business Computer Programming, Computer Graphics and Geographic Information Systems (GIS). In this explosion, the number of programs went from 7 to 11 with associated increase in instructors, students, and administration. These programs were organized into three departments: Survey, Cartography and Planning, Computer Programming. Clearly, the Nova Scotia Land Survey Institute name no longer reflected the wide range of programs. John Wightman describes how the original milking-stool with its three legs: surveying, cartography and photogrammetry expanded with the availability of the new computing technology. (J. Wightman, pers. comm, 2012). With the recruitment of several geographers at NSLSI, it was time to consult with both industry and faculty, on a more representative name. John was appointed Principal, replacing James Doig on his retirement. This coincided with the name change to the College of Geographic Sciences in May 1986. Charles Williams became Vice Principal, complementing John’s entrepreneurial talents, in a similar way as James Doig. John remained Principal, until his retirement in 1994.